“It’s been a busy nine months for Bobby Noyes since announcing his company, RockyMounts, was moving from Boulder to Grand Junction. And things don’t appear to be slowing down any in 2019 for the producer of bike racks and accessories. The company is set to break ground on a new building at the Riverfront at Las Colonias business park in the next 60 days, is going through a rebrand to embrace its new home and is up for an award celebrating outdoor-based companies. INTERESTED IN JOINING ROCKYMOUNTS AT RIVERFRONT? VISIT RIVERFRONT AT LAS COLONIAS PARK FOR MORE INFORMATION. 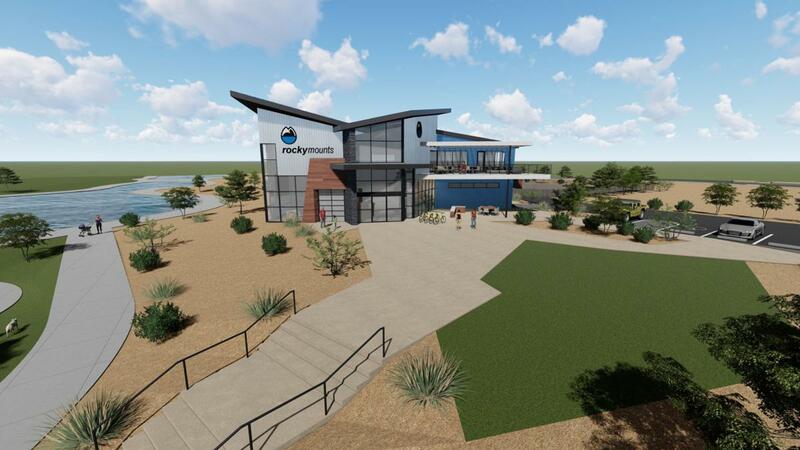 Photo: RockyMounts’ rendering of new headquarters building at Riverfront at Las Colonias Park in Grand Junction, CO.